The Montgomery Police Department would like to acknowledge the outstanding service and work of an employee who consistently excels in his job. This employee surpasses the performance requirements of his position and works well with co-workers, residents, and all those he comes in contact with. Although we have many employees who are eligible to receive this prestigious honor. The 2017 Employee of the Year for the Montgomery Police Department is Sergeant Jake Niete #55. Sgt. Niete was hired in March of 2007 and was promoted to Sergeant in May of 2015. This past year he was nominated for the Kane County Officer of the Year and nominated for a Lifesaving Award in Kendall County. On 06/11/17, at 0156 hrs, Sgt, Niete responded to a domestic disturbance call where the caller advised that her sister was locked in a bathroom against her will and her boyfriend had taken her phone (Report #17-1358). Sgt. Niete was the first to arrive on scene, while other officers were en route. While on scene, he advised units to step it up as he could hear screaming from inside and a woman yelling for help. Due to the urgent circumstances, he made forcible entry at the front door and entered the residence alone. The victim was safely secured and the suspect was located downstairs in the basement. The suspect was eventually secured and transported to the hospital to receive treatment for injuries suffered, with a warrant being secured for Unlawful Restraint (felony), Domestic Battery, and Interfering with Reporting of Domestic Violence against him. The victim was assisted and received minor injuries. Sgt. Niete’s act of valor (risking his own life to assist a victim in an unknown situation) reinforces the Mission Statement of our department in that he is committed to providing exceptional public service by protecting the life, liberty and property of the citizens of the Village. We recognize Sgt. 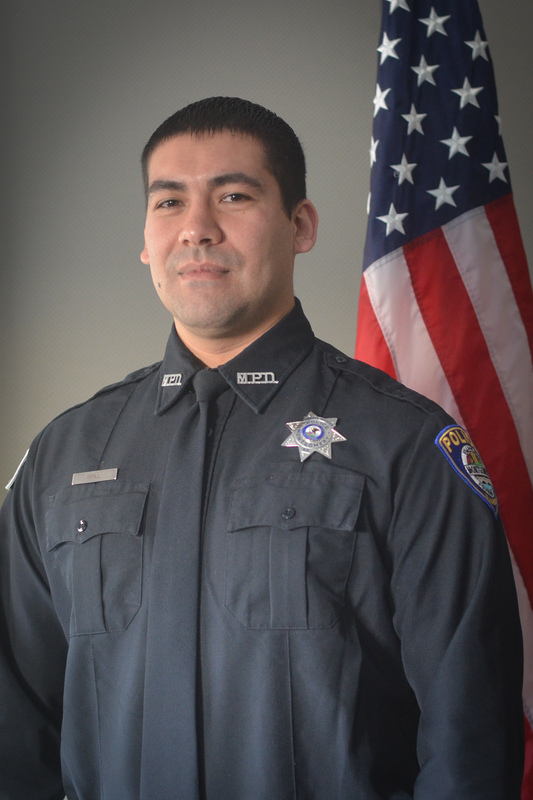 Niete’s bravery and he was nominated him for the prestigious Kane County Officer of the Year Award. On 08/10/17, at 0323hrs, Sgt. Niete responded to the 2000 block of Margaret Drive for an infant, who was only days old, not breathing call. Upon arrival, Sgt. Niete encountered a frantic mother screaming advising her baby was not breathing. Sgt. Niete immediately began to administer CPR after finding the infant not breathing or responding. Due to his quick actions the child responded to CPR and began breathing. Paramedics arrived and continued to care for the child. Sgt. Niete is a member of the SET team and has coordinated several successful search warrants this past year. He is also a gang officer who is in charge of our gang intelligence and officers at our department. He networks with other departments, such as Aurora, Kendall County, Plano, Joliet, ISP, etc. to disseminate vital information and hosts gang meetings at our department. Sgt. Niete’s act of valor (risking your own life to assist a victim in an unknown situation) and lifesaving efforts reinforce our Mission Statement in that he is committed to providing exceptional public service by protecting the life, liberty and property of the citizens of the Village. Chief D. Meyers and I would like to thank you for your service, professionalism, and dedication to the citizens of our Village and to our profession. The Montgomery Police Department would like to acknowledge the outstanding service and work of an employee who consistently excels in his job. This employee surpasses the performance requirements of his position and works well with co-workers, residents, and all those he comes in contact with. Although we have many employees who are eligible to receive this prestigious honor, The 2016 Employee of the Year for the Montgomery Police Department is Detective Luis Villa #41. He is a member of the SET team, gang officer, Lead Homicide Investigator, juvenile specialist, and successfully completed the John Reid Interviews and Interrogations course. Det. Villa was selected as employee of the quarter for the first quarter (Jan-Mar) of 2016. We received an email from a motorist who dealt with Det. Villa twice in the same day. As we all know, the police profession has been highly scrutinized and we are fortunate to have officers such as Det. Villa on our department. Detective Luis Villa is to be commended for his outstanding work performance and dedication to his job. His actions, words, and demeanor demonstrate the core values (Courteous, Honest, Respect Diversity, Emphasize Integrity, and Foster Cooperation) of the Montgomery Police Department.